Twitterati are at it again! 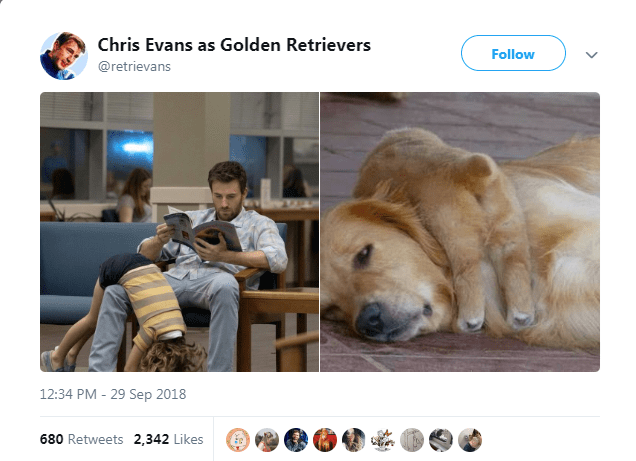 We all know most of the good stuff usually comes from Twitter, and before we even know it, within the blink of an eye, it’s all over the internet. 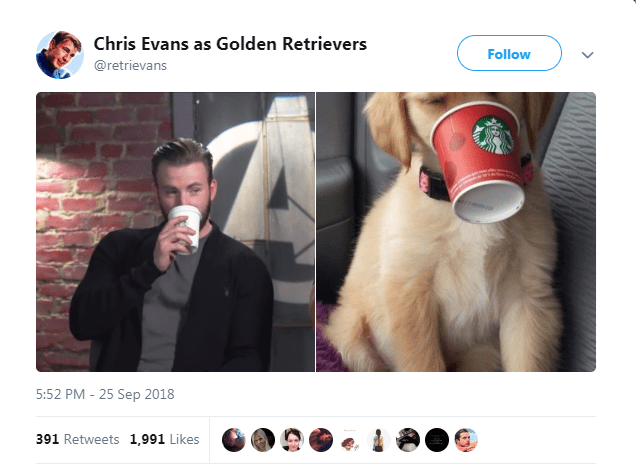 So, once again, Twitter has not disappointed us as someone has made a Twitter account for the sole purpose of proving that Chris Evans is actually a Golden Retriever. I know it sounds crazy, but you’ll understand soon enough why and more importantly how is this even a thing. 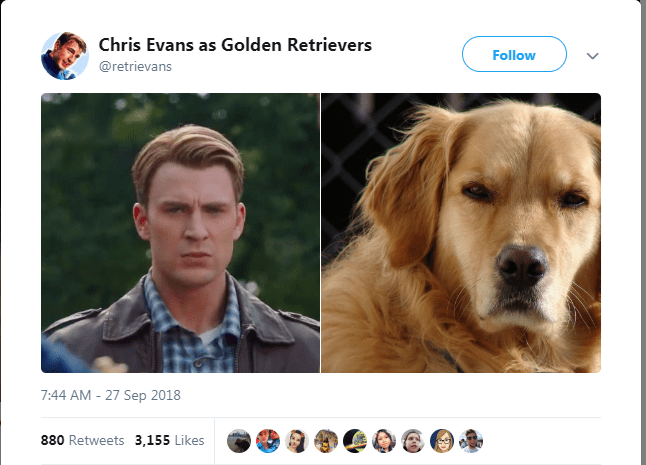 I mean, if you think about it by putting aside all the other thoughts, wouldn’t a retriever best represent Captain America? 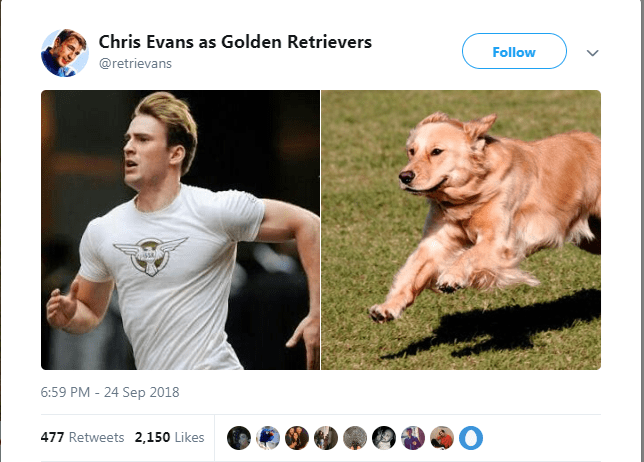 It’s like a Golden Retriever is the Captain America of all the Doggos (just a thought). 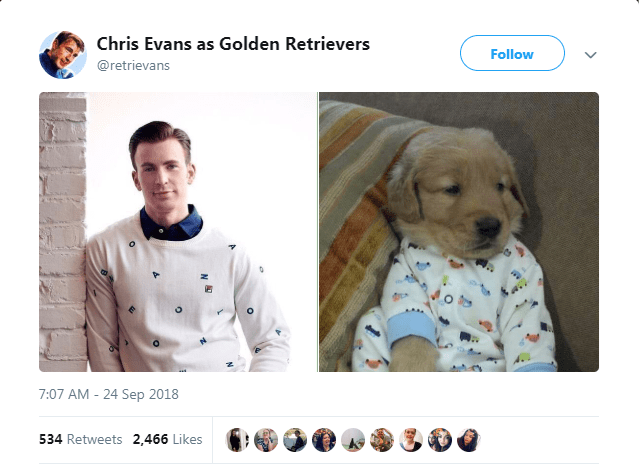 Anyway, it’s time we take a look at the Twitter account. Okay, whoa! 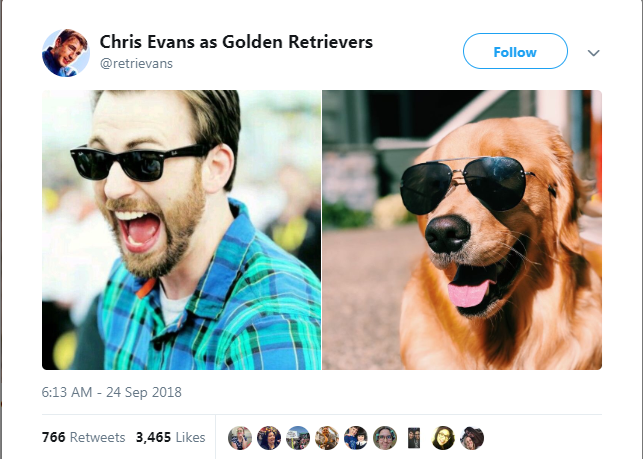 Both of them look fantastic in sunglasses. 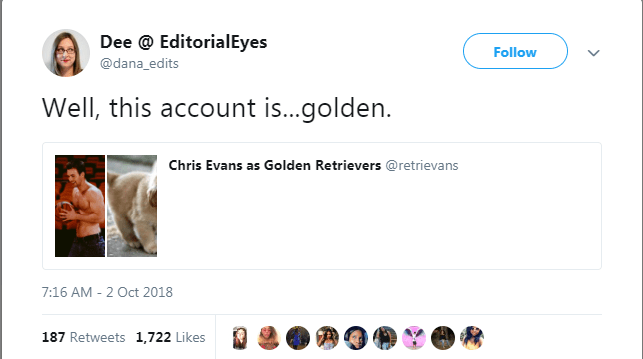 They have even named the page RETRIEVANS! 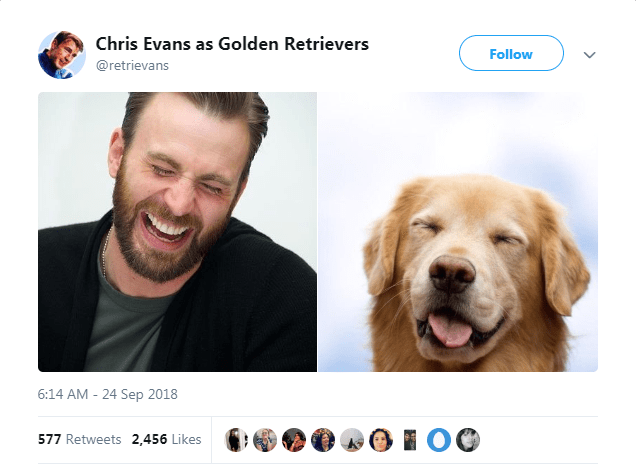 They are both very cheerful. 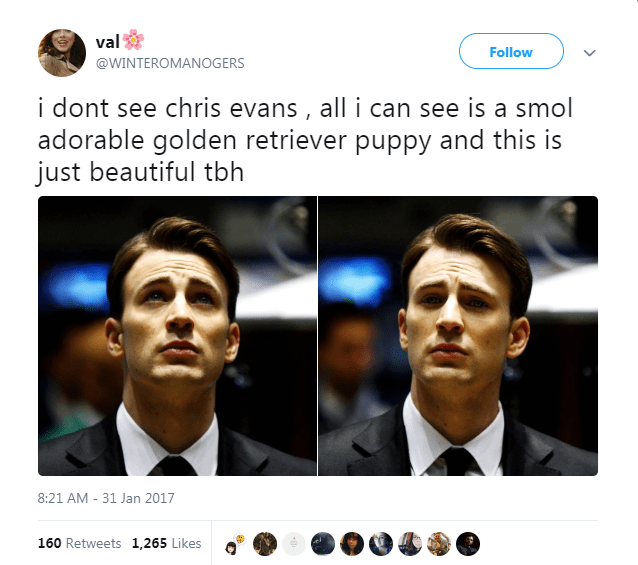 Is it just me or does it actually look adorable? 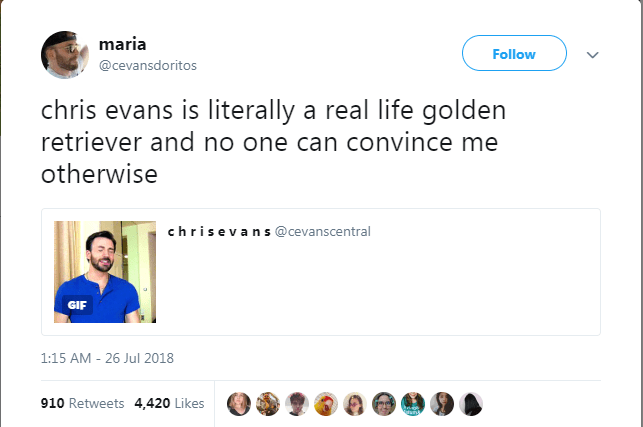 No wonder why the internet is convinced. 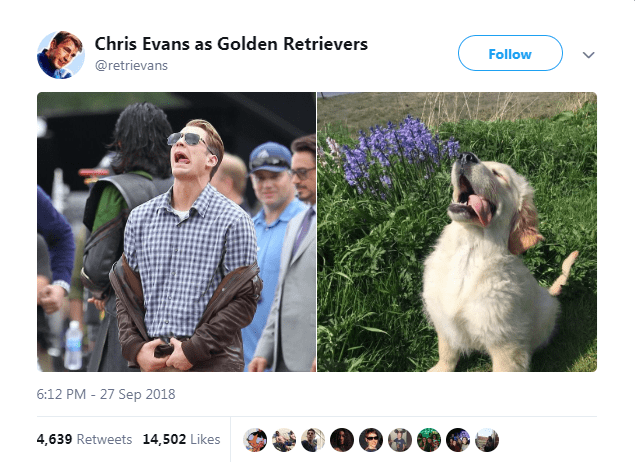 They are both naturally well-built and charming. It seems people love this whole new concept a lot. Well, I don’t know about you, but I sure am convinced. 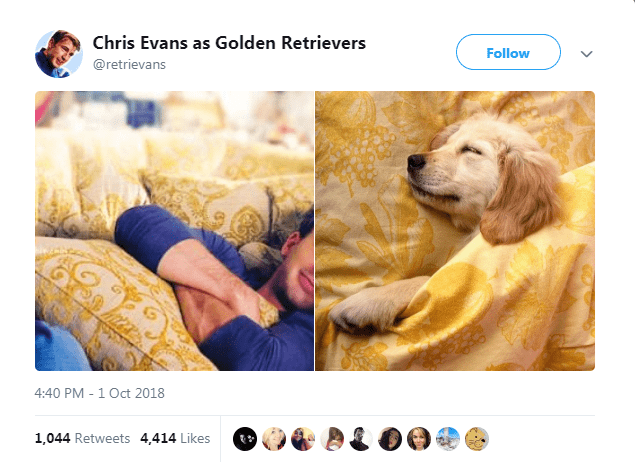 Do you think Chris Evans is a human equivalent of the beautiful Golden Retriever? Let us know in the comments below!